FBN’s Charlie Gasparino on the New York Attorney General’s lawsuit against Barclays over dark pools. New York State Attorney General Eric Schneiderman unveiled charges Wednesday against Barclays over its dark pool. Schneiderman alleged the British bank provided high-frequency traders with preferential access to its dark pool despite claims it was actually trying to prevent that sort of activity. The lawsuit comes after weeks of negotiations hit a logjam, people familiar with the matter told FOX Business&apos;s Charlie Gasparino. "The facts alleged in our complaint show that Barclays demonstrated a disturbing disregard for its investors in a systematic pattern of fraud and deceit,” Schneiderman said in a statement. A Barclays spokesperson declined to comment on the allegations. The complaint cites examples of Barclays allegedly manipulating marketing documentation in a bid to hide the depth of high-frequency trading that took place on its exchange. Dark pools are private, off-exchange trading platforms favored by many professional investors for the privacy they afford. Other large dark pool operators include Credit Suisse (NYSE:CS) and Goldman Sachs (NYSE:GS). There were recently reports indicating Goldman will close its dark pool, but sources told Gasparino on Wednesday the No. 1 U.S. investment bank plans on keeping it open. Schneiderman’s case is the first admonishment of the controversial practice of high-speed trading by a major regulator. Although, it&apos;s worth noting that the attorney general&apos;s case appears to hinge on Barclays&apos;s allegedly fraudulent marketing practices as they relate to HFT, and not the practice itself. High-frequency traders use numerous techniques to access financial markets at a lightning-fast pace to beat other market participants at trading on information ranging from trade dockets to economic reports. Critics say the practices are profitable for high-frequency traders, but damaging for small investors who face worse executions. Proponents, however, contend HFT has reduced trading costs across the board. Other regulators, including the Securities and Exchange Commission and Justice Department, are looking into the practice as well. Federal and state watchdogs have been hitting a slew of banking giants with fines and new regulations following the worst financial crisis since the Great Depression. 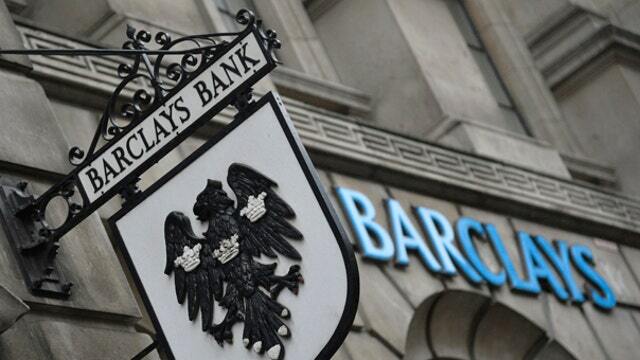 Barclays shares traded in the U.S. closed down by 13 cents, or 0.82%, to $15.71 on Wednesday. They are down more than 13% for 2014 as the company has restructured amid fresh regulations.